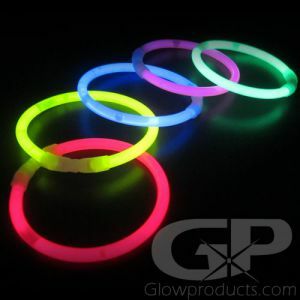 - 14 Bright Colorful 8" Glow Stick Bracelets! 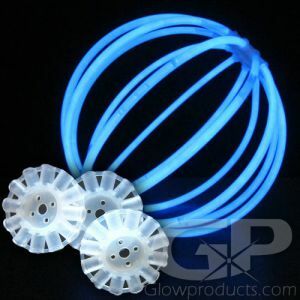 - Glow in the Dark Lantern Ball Connectors! 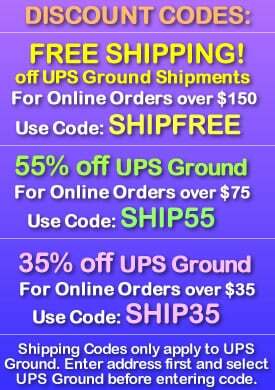 - Light Up Eye Glasses Frame! 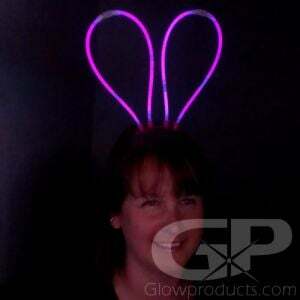 - Glowing Bunny Ears Head Band! 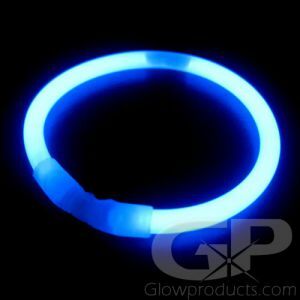 - 14 of the Regular Glow Bracelet Connectors! 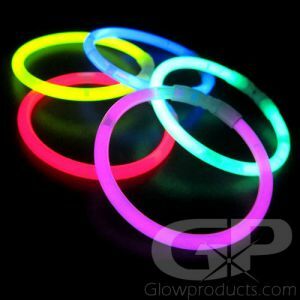 The Glow Bracelet Craft and Party Packs will let you make glorious fun-filled glowing creations and objects! 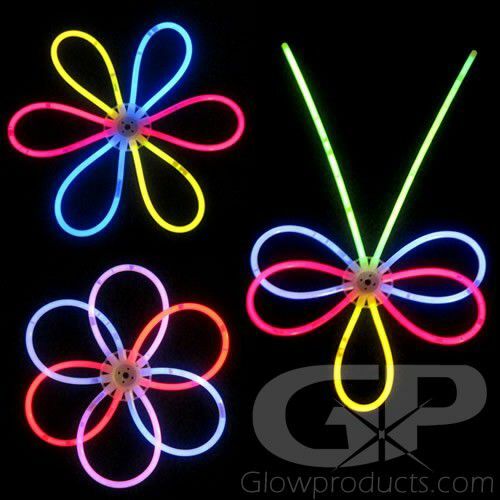 The Ultimate Glow Bracelet Party Pack comes with an array of colorful glow stick bracelets and a variety of different connectors that you can use to design cool glow in the dark party, craft and wearable items like glowing bunny ears, glowing eye glasses, glow flowers, glowing bug antennae and glowing lantern balls. Or make something completely unique of your own creation! This fun filled glow party pack makes a great addition to any birthday or party event, handouts for festivals, school and community fairs and dances or simply a fun do-it-yourself arts and crafts project with the kids! 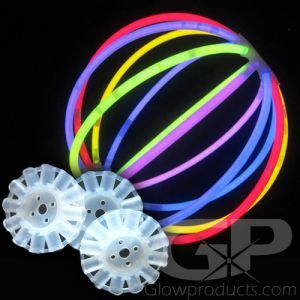 Instructions: Bend the 8" glow in the dark bracelets to activate and then let you imagination go wild and create numerous glowing objects and crafts with the many different types of connectors available in this party pack! 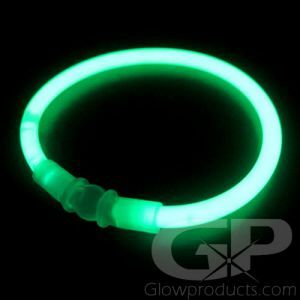 The glow bracelets are 100% waterproof and are non-heat producing, and are safe and fun for kids of all ages (but we recommend 5 and up with adult supervision. That way you can steal their ideas).